Nice wine. 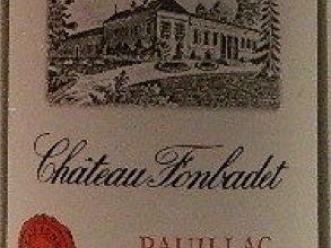 From an easy to drink vintage that may have been the last reasonably priced vintage across the board in Bordeaux. Even the best ones should be drunk sooner than later and while this is in that category, at age 16, it offered up a very nice wine. Purple/ruby in color. The nose is clean with some cassis and slight herbal note. On the palate, nice one dimensional cassis fruit. A bit shallow but still fresh. Not a lot of development here and no funk, tobacco, or other tertiary qualities but what is here is quality. This seems to be at peak at this point. It won't get any better not discounting bottle variation. Ruby in color, slight browning at the rim. The nose has cassis, cherries, slight baking spice, slight dried craisins, On the palate, there is good acidity here. Tart cherries, cassis with underlying dry forest floor notes. Nice finish. This will work nicely with meet based dishes. Give it 30 miutes of air to blow off the bottle stink and it is good to go. Pop and pour. This is very solid but given the release price ($50) and ten years from a great vintage, it seemed to under perform a bit. Purple in color. The nose is tight at first but eventually opens up to cassis and spice. On the palate, this has a nice enough texture. Nice cassis fruit but a bit one dimensional. Perhaps there is still time to develop but it seems that if that was the case, there would be glimpses. Still, it is enjoyable and if straightforward, at least that is a good direction. This winery as been on a roll, certainly over the last twenty years, but especially, the last 10. This is the best 2015 I have tasted so far. Purple in color. The nose has great cassis, some char, tobacco and cedar. On the palate, this has soft black cherries while still having firm tannins. Cassis, earth and tobacco. Some spice. It is big and bold, yet accessible in the glass. Improved all night long. Certainly a few points of upside if cellared for a decade or two. $130 is expensive but for this quality, probably fair.